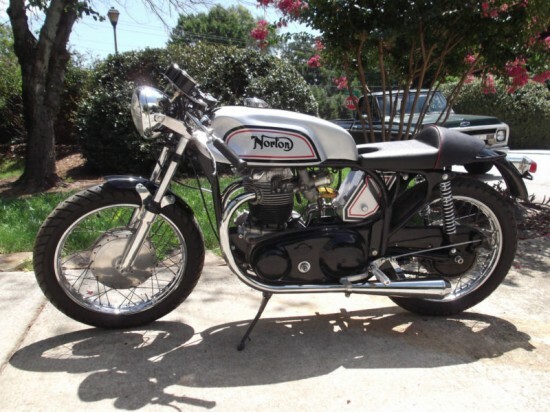 The Norton Atlas was a development of the Dominator and was originally designed for export to the US to sate our hunger for bigger engines and moar power. 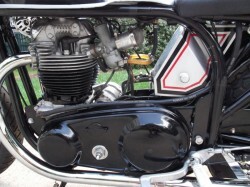 Featuring a bored-out, low-compression version of the 500cc Dominator motor and fed by a single Amal carb, the big-bore version produced a healthy 55hp but vibrated excessively when rigidly mounted in the frame. This vibration was a serious problem and led to the development of the “isolastic” mounting system of the Commando that used a series of elastic rubber bushes to isolate the big parallel twin’s significant vibration. 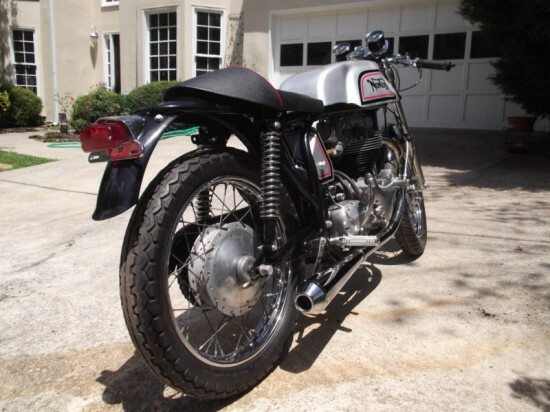 Click the link to see the original eBay listing: 1965 Norton Atlas for Sale. 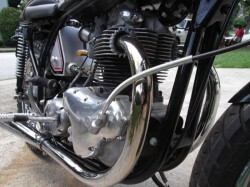 Alternator, Exhaust Pipes, Custom footpegs. New rear lamp and new rear suspension units. 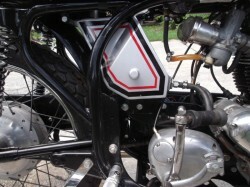 Custom seat(Alloy again) in Manx style. Throttle cable and throttle new. 4 speed transmission was found to be in good nick and it shifts well. 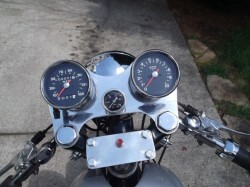 This has got to be one of the coolest bikes on Ebay. It’s worth it for the custom alloy parts and the slimline Featherbed frame alone ! At the time of this writing, there are no bids on this bike, but I’d expect that to change: this is an extremely classy bike, ready to vibrate its adoring new owner’s hands into glorious numbness!